ISLAMABAD:(APS): Nov 29,2017-“The tourism industry is of vital importance for economic development and for sustainable management of resources and historical, cultural and national assets”. These words are described by the Zubair Surti, Director Corporate Affairs of Serena Hotels and Chairman Pakistan Hotels Association. 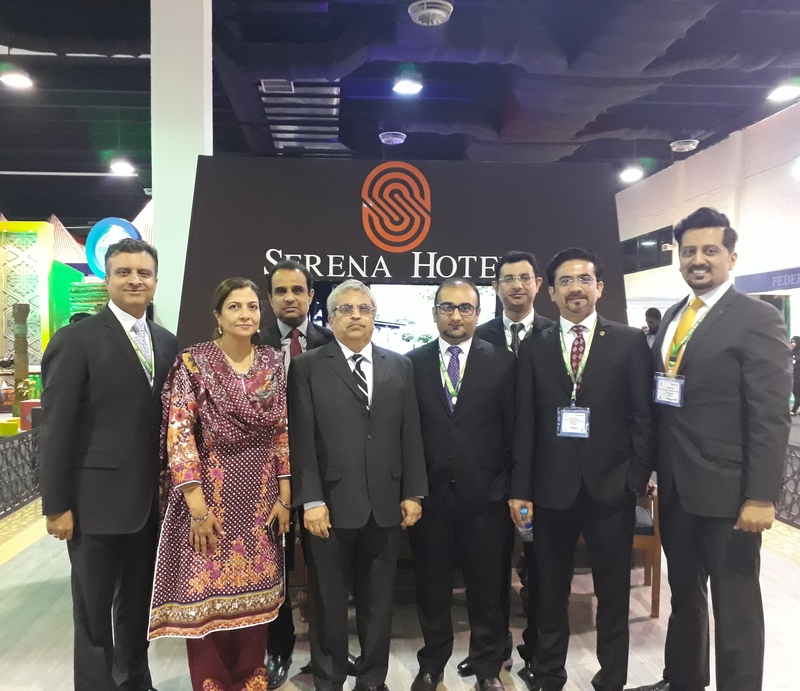 Serena Hotels participated in the Pakistan Travel MartExpo 2017 held in Karachi. During the panel discussion Syed Sardar Ali Shah, Provincial Minister of Sindh for Culture, Tourism, Antiquities and Archives visited the Serena stall and appreciated the scale and vision of the expo. Legendry squash player Jahangeer khan also visited to stalls and appreciated. In this occasion Zubair Surti said that ‘’The tourism industry is a key sector in Pakistan with direct contribution of 2.9% to the GDP and supporting roughly 1.4 million jobs. Across the world, tourism comprises of 30% of the service economy. The sector is, however, far below the potential of a country like Pakistan with numerous terrains and historical and religious landmarks. Some key elements that will determine the growth of tourism in Pakistan in future is the focus on sustainable tourism, key stakeholders working together to facilitate local and international tourists and the involvement of local communities in tourism and targeting the most likely segments such as domestic leisure tourism, Diaspora visits and faith-based tourism. Surti added that “Tourism if done in a sustainable and inclusive way can improve the economy, empower communities and improve the image of the country”.